Uh-huh! That's right! The word on the block is true + if you haven't yet seen or heard, then let me tell you...yesterday I was tweeting away + one tweet in particular stole the day! 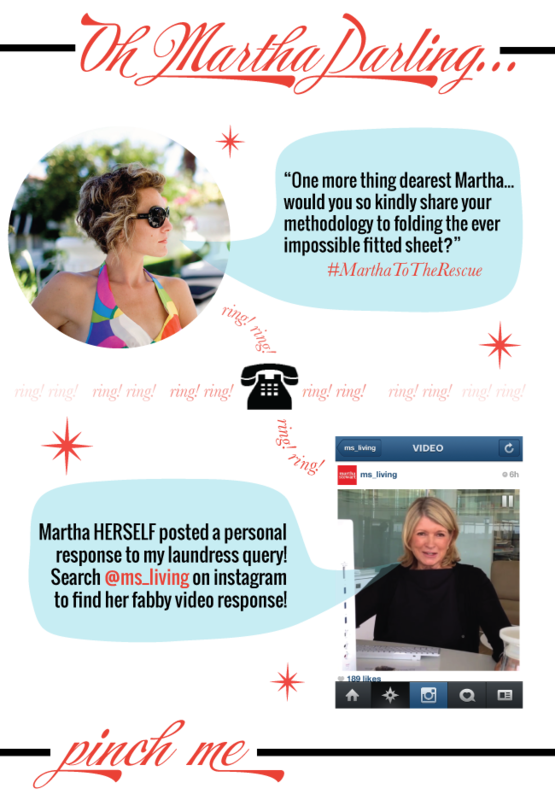 One tweet to Martha + that's all it took, but her response is what made it unlike any other...a tweet for the books! Not only did Martha respond to my query on fitted sheet folding, she did so in a fashion that had my excitement exploding! She recorded a vid personally acquitted to moi + I couldn't be more thrilled to share with y'all!